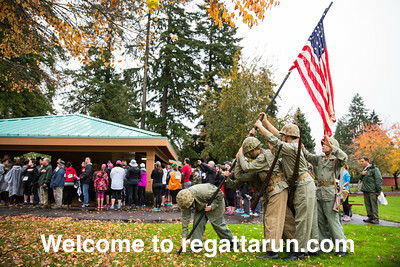 For the past several years we have used the Fit City Tualatin web site to promote the Regatta Run, however in 2017 we decided to have our own web site, so we hope that you enjoy the experience. A special thank you to Daniel Payne of Tualatin Web for helping us with the new web site. We are investing time and energy into some great improvements for the Regatta Run, and I think you’ll all see the benefits of these changes. Look for simplified sponsorship levels, along with a new “pack of entries” option for those not looking for sponsorship benefits, but just want to contribute to this wonderful community event. Look for a more streamlined scholarship process for our students, with TSO (Timberwolf Support Organization) managing all of the finances of the Regatta Run and the Cpl. Matthew Lembke Memorial Scholarship Fund. Look for easy PayPal transactions and the ability to donate through PayPal directly to the scholarship fund. The Run itself won’t change significantly; mostly the behind-the-scenes piece. We hope that you’ll continue to participate and bring your friends and family to be a part of this wonderful community event. A huge THANK YOU to Daniel Payne for getting our new website up and running!